Nothing ventured, nothing gained. 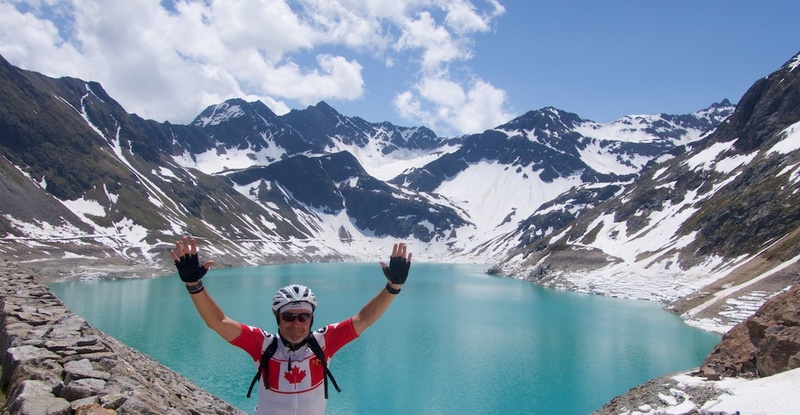 A fun ride made special with a little route extension and a small snow hike. Kühtai literally means “Cow Alp” in local dialect here, which of course makes me happy. Apparently, a local farm pasture was first mentioned in local records in 1288. 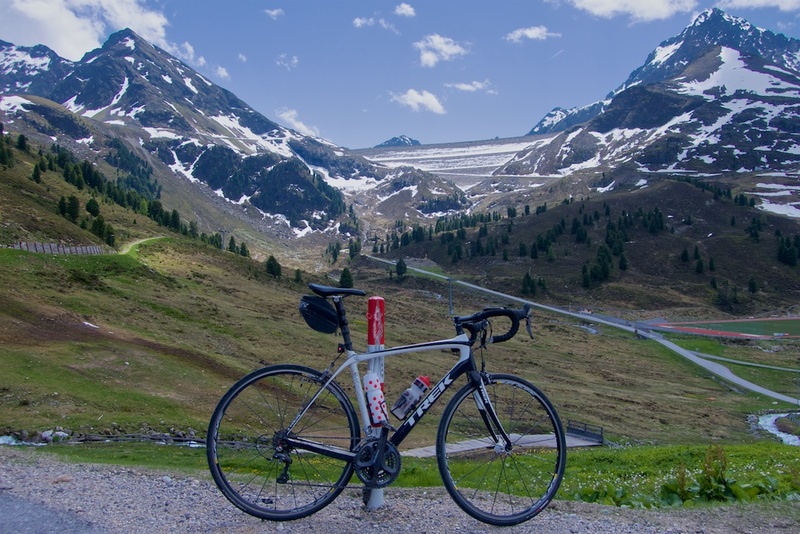 Sattel = Saddle = Mountain pass. 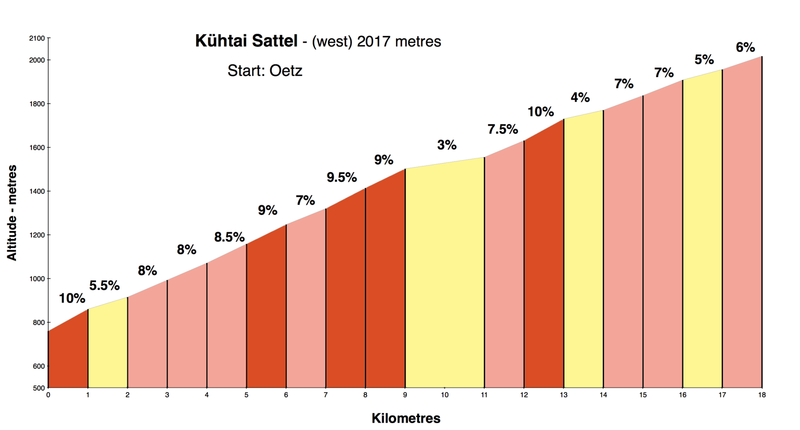 The road is immediately steep starting from Oetz. 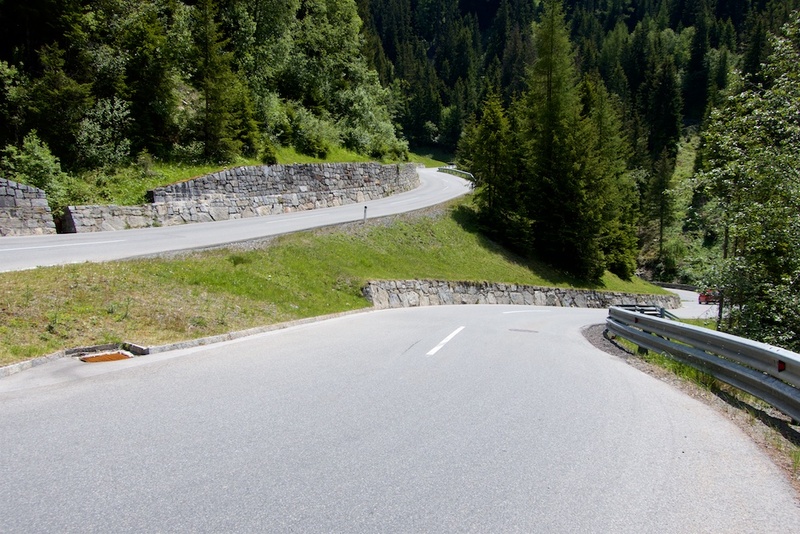 It’s a pleasant climb with trucks forbidden, but occasionally steep, with one ramp reaching 16%. Note, profile is only to Kühtai. The dam is at 2335 metres. Nearing the top is a small dam/lake Speicher Längertal. 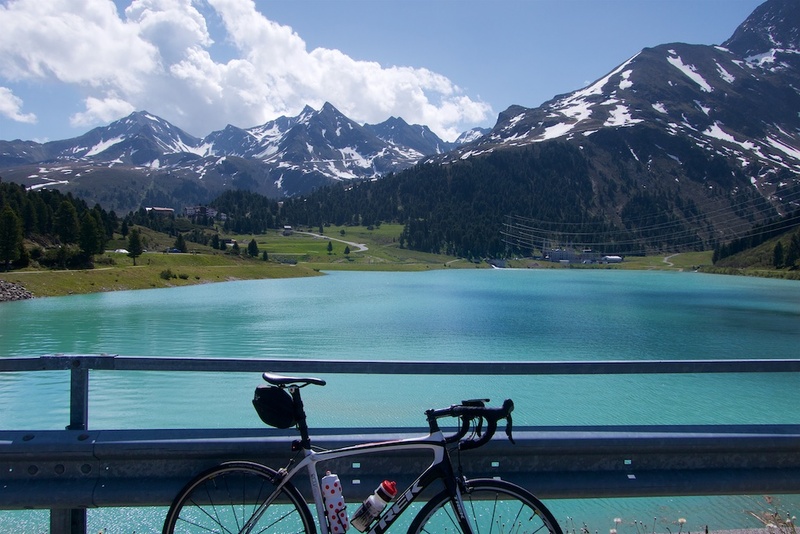 Note, I would ride around this lake on way down …. but the far side is gravel. The east side of the Kühtai Sattel is also supposed to be interesting. I just didn’t have the legs. And along the climb a friend highly recommends the road to Lüsens, I’ve marked it on the map below, scroll well right. But now the real fun began. 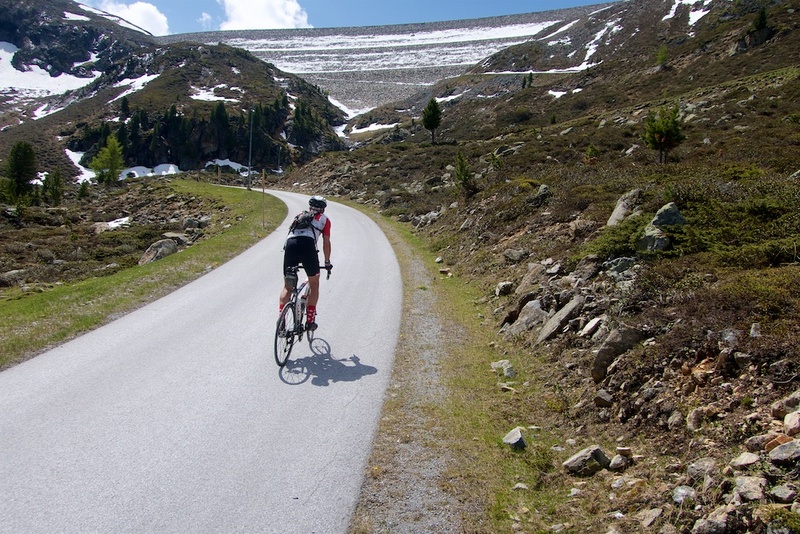 I knew there was a tiny side road up to a higher dam/lake called Speicher Finstertal (or Finstertal Stausee). I had been told it was closed, and could see some snow but thought I’d have a go. It’s a beautiful little extension, and initially, there was absolutely no snow as I headed up to the dam. But it’s north facing and the shade of the dam meant there was snow up close. When the road disappeared I hiked. Easy enough. The road is paved and actually goes through the tunnel below! But the hiking trail was clear so I just walked above the tunnel. I am not going through that tunnel! Today was a good answer to why I wear mountain bike cleats and pedals on my road bike: they are easy to hike in. Also, the way I scramble around sometimes taking photos, they are safer. 🙂 I’ve been having a great trip in Austria, but the happiest, most satisfied I have felt was reaching the dam. So beautiful. Worth a little extra effort. 2335 metres. Hiked last kilometre due to snow. Worth the effort. After the snow adventure, I didn’t have the legs to go down the far side of Kühtai. Glad you enjoyed it Will. 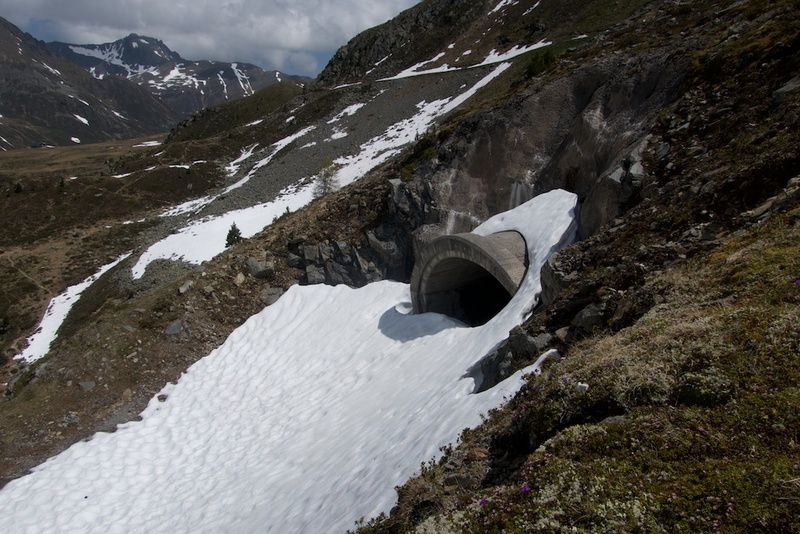 If anyone is interested in riding up to the dam without a hike the snow in the tunnel is just left to melt and typically clears by the beginning of July. An alternative way up to Kühtai from the western side would be to take the Haiminger Berg road from Haiming which meets the main road up in Ochsengarten. This is generally regarded as the harder way up and is not as scenic however. Happy Memories! 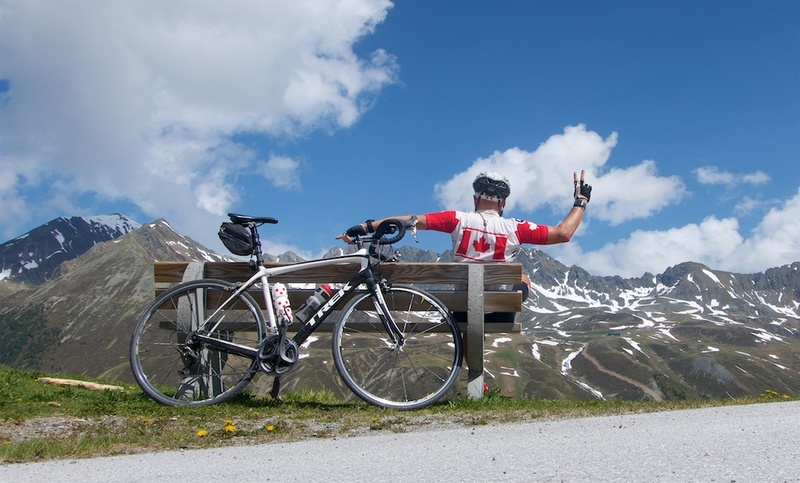 Having ridden over the Kühtai in the Ötztaler Radmarathon and the Timmelsjoch in the Tour Transalp, my friend and I took our families hiking here – five days from the Kühtai right over into Italy staying at huts. This was the first part of that hike and very nice it is too.